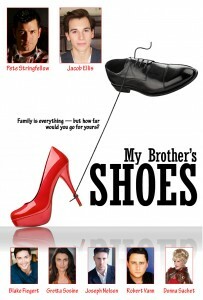 My Brother’s Shoes – Soon to be released worldwide! Yes, our full feature comedy film “My Brother’s Shoes” is about to be released. The press releases are being drawn together and the actors and crew are being interviewed. We are all very excited for the release of the film. It will mean that any one will be able to download, rent, buy, or stream the film on any device in any location. Stay tuned for more coming soon!! In the meantime, check out the new artwork for the release. Next Screenings of Film Scheduled!! 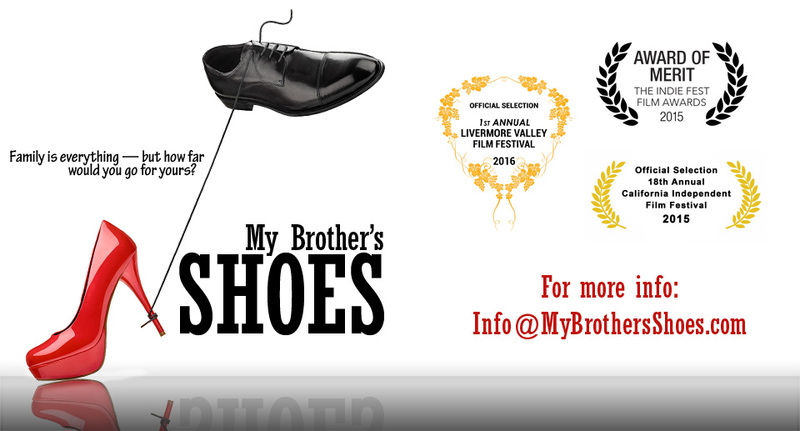 My film, My Brother’s Shoes, will be shown at the Livermore Valley Film Festival TWICE on the following dates.